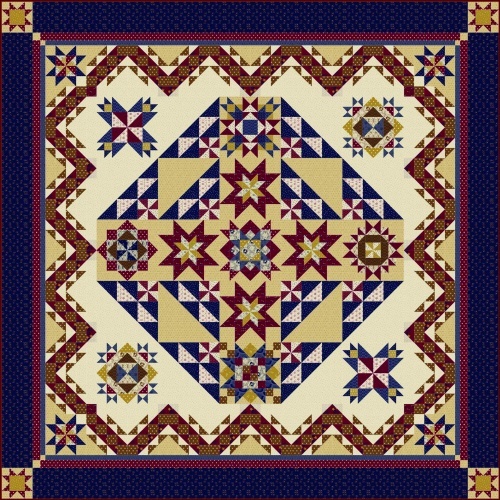 The completed quilt measures 97" x 97"
"The year is 1859. The country is in turmoil. Tempers on both sides are heating up. In Claiborne County, Mississippi, a very unusual family is preparing for a trip to freedom. This is the story of Hannah Cummings Cotton, her plantation life, her children, and her journey to Ohio, leaving the chains of slavery behind."